With excavation and repair Drainfix can provide the service you need, be it domestic, industrial or anything in between with the expertise of our Footpath and Road Trained Operatives. Having a ‘Street Works License’ and training, provides us with the qualification needed to work with the Public Sector on the highways. Ground movement, root infestation, subsidence and corrosion, can cause cracks and total collapse of drains and sewers; leaving devastating consequences. In some circumstances the only way to resolve this problem is by excavation and replacement of the defective section of drain run or the installation of Soakaways. Very competitive rates are offered for all our drainage repair work. Drain excavation is a complex process that involves digging a hole or a trench to expose the drainage pipes that need any attention or repair. Unfortunately, it does leave the possibility of damaging the ground above the problematic area of the drain depending on the material above it. Drain excavations are done usually when there is no other option. In some cases, there are certain situations where the drain, sewer or pipeline can only be repaired or replaced by digging a hole into the ground to access the drain pipe. An excavation is done in the more severe cases where a problem with the drainage system occurs. Do I Need A Drain Excavation? Drain excavations and repairs are only done in those cases where a basic drain or pipe repair is not enough and if cleaning the drain won’t repair the damage. Over time, ground movement, root infestation, subsidence and corrosion can create and cause cracks in the drains, sewers and pipelines. In more severe cases, these effects can cause total collapse of the drains, sewers and pipelines. This can leave devastating consequences if the problematic area is not identified, reported and repaired as soon as possible. Due to it being such an intricate task that needs careful thought and planning, it should be done by a professional. At DrainFix Services Limited, we have a reliable team of qualified drain experts who take health and safety seriously. Besides the actual excavation itself, there are a few tasks that need to be done. That is why at DrainFix Services Limited, we take care of the site assessment, health and safety considerations, storage of excavated material and site reinstatement. We can provide the comprehensive service you need at a competitive price. Our considerate and reliable team of drain experts can provide a drain excavation service to domestic and industrial properties. 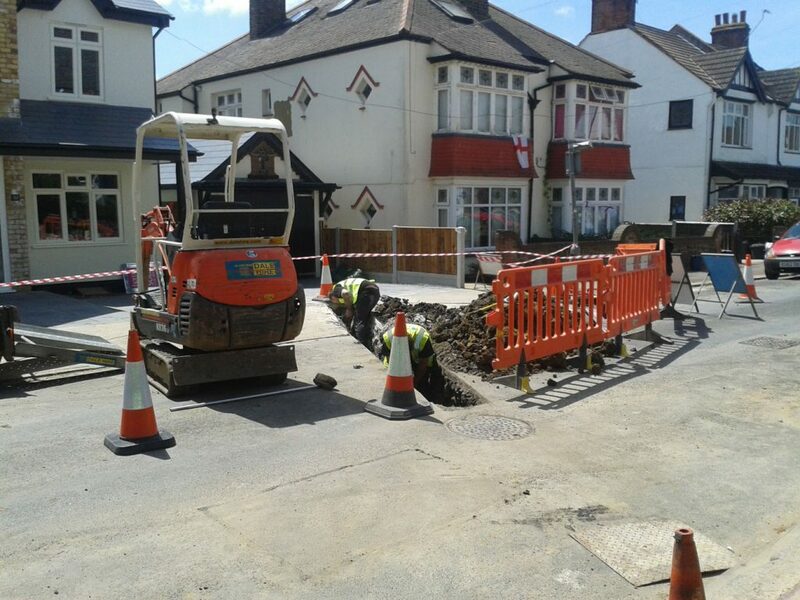 Our experienced Footpath and Road Trained Operatives have the training, skills and expertise to correctly and safely carry out the drain excavation and repair service to ensure that the repair of the drain and the restoration of the area is done cost effectively and efficiently. Our drainage and plumbing experts have ‘Street Works License’ training, which is the qualification needed to provide us with the right to legally work with the Public Sector on the highways. Our team of experts take pride in their work and take the correct measures, planning and paperwork before carrying out any excavation work to ensure that the job is done right and the results are successful. Contact our drain professionals at DrainFix Services Limited to get more information on our drain excavation and repair service on 01245 268523. We are based in Chelmsford and are happy to serve businesses small and large in both the private and public sector. 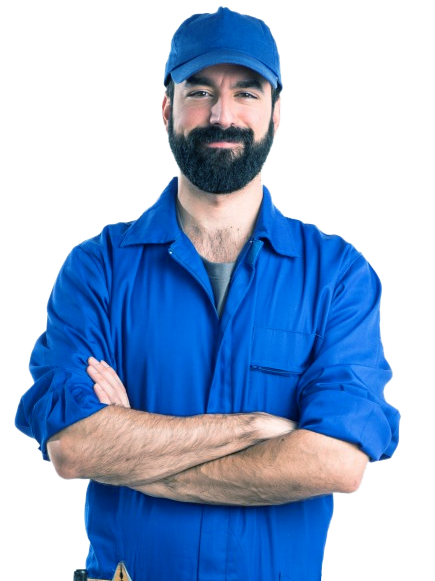 Fast, Accurate Analysis – When there is a problem with your drains, the best thing is to identify it as soon as possible so it can be repaired immediately. This is why at DrainFix Services Limited; we use CCTV technology to survey drains as it speeds up the process considerably. As our cameras are lowered into the rain, the drain plumber can see everything in real time on a TV screen. Minimal Disruption – A CCTV survey causes minimal disruption to the area around the drain. Because there is no guess work involved, any digging up needed to be done will only be in the affected area. At DrainFix Services Limited all the work is done by the camera. No large costly and disruptive excavations needed. Cost Effective Solution – Time is money, both in the hands of the drain plumber and the client, therefore we make it a priority to keep our services cost effective. Due to a CCTV drain survey’s precision and accuracy, it takes away any unnecessary costs.